Our specialists have helped hundreds of international businesses and large corporates to put in place effective group structures, across thousands of projects. Now we can do the same for you. Maybe you need to rationalise your group structure. 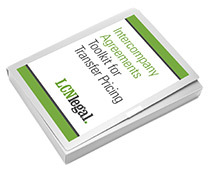 Maybe you need to put in place a framework of intercompany agreements, to support your group’s transfer pricing compliance strategy. Perhaps you need to implement a specific group reorganisation project, or unwind a particular structure. Whatever your project, the foundation is a clear and effective plan. As your senior structuring consultants, we will give you the clarity and support you need – and the starting point is a road map to get you from A to B. It will be based not on legal theory, but practical experience of what works for large corporates. You will be supported by senior professionals who have gained their experience from within organisations such as KPMG, Accenture and American Express – not an overpopulated team in a monolithic organisation, which needs to achieve its internal ‘leverage” business model. Just imagine how much more smoothly your project will go, once you have a clear plan which has been vetted by independent experts and tailored to your needs. And imagine how you will feel, being able to move ahead with confidence and clarity, knowing that you’re doing the right things in the right order. Because our work with you will be conducted using a combination of telephone, video conferencing and email, we can offer you a fixed fee for our initial work to create or review your high level project plan. This fee will be within the budget of almost any international business or large corporate in the USA, Europe, Asia, Australia or elsewhere. Your fee for our initial work is set and capped in advance, with no hourly rate or day rate. This means that you can manage your budget with complete certainty and peace of mind. Paradoxically, it can be a solitary experience working in a large corporate. You are expected to know what to do, and to navigate the potential pitfalls without putting a foot wrong. You’re also expected to use your budgets wisely. Although there’s no shortage of offers of support from “Big Four” and other advisory firms, it can be difficult to know whether what’s being offered represents true value for money, or whether it is designed to meet the proposer’s interests rather than yours. At LCN, we don’t provide tax, audit, compliance or accounting services, and we don’t provide software platforms. So we don’t have any conflicts of interest in reviewing your needs independently. We are on your side, to give you practical, experienced and impartial advice. And we work with, rather than against, your existing tax and legal teams, both in-house and outside. It’s easy. If you would like to know more, just send us an email at info@lcnlegal.com. Please provide as much information as possible. Your enquiry will be held in strict confidence, and will be without any obligation on your part.